Well, the SEAS cup started a little slow, with four boats: Lyric, Mess Around, Smoke and Haiku. The weather cooperated, with one slight problem. NO WIND! The boats motored to the starting line at Marmion Island, to start at around 11:00 AM (it seems that 10:30 is just a little too early for all but one of the boats, no need to mention which). Conquest II, owned by Tom and Tish Satre, agreed to be the committee boat. It became evident that there was going to be a lot of current, and very little wind, but the countdown began at 10:55. As the boats jockeyed the pre-start, the wind gradually diminished as the tide reached its peak flood filling the nearly 18 foot tide. It became very difficult for the sailboats to even cross the start line, but when they did, what a treat! The fleet was joined by an uninvited, but not unwelcome pod of Orcas! The first race in the first SEAS Cup starts this Saturday at 10:30 AM, at Marmion Island. So to be at the start on time, you should probably leave your slip at about 8:30 or 9:00 AM. The Jaw Point race will begin between the committee boat, and the day mark on Marmion Island, proceeding to Jaw Point, and the back down the channel to finish at Sheep Creek. Before all of our SEAS Races, there is a mandatory skippers meeting. The Skippers meeting for the Jaw Point race will be held Friday, May 8, 2009 at 5:30 PM at the Breakwater Bar. If you cannot make the Skipper's meeting, then you must notify the commodore that you are going to participate, and you must pay the entry fees. The boats, crew, and sun showed up, it was too bad that the wind didn't. But light air can't keep a good sailor down, so in SEAS first GOTB Wednesday night sail, 9 boats came out. Three new boats sailed the waters with the fleet, including a Walker Bay dinghy, Cetus, and Peregrin. 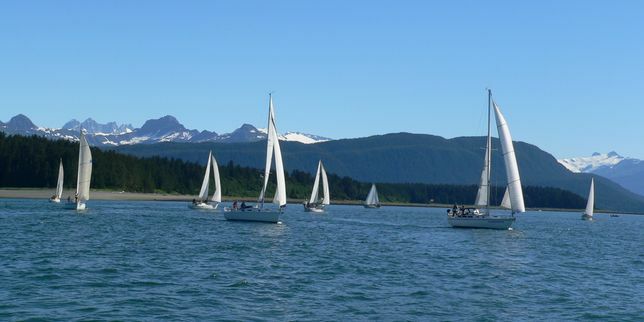 Juneau sailors enjoyed an evening of great weather, and being out on the water in some of the most beautiful waters in the world. 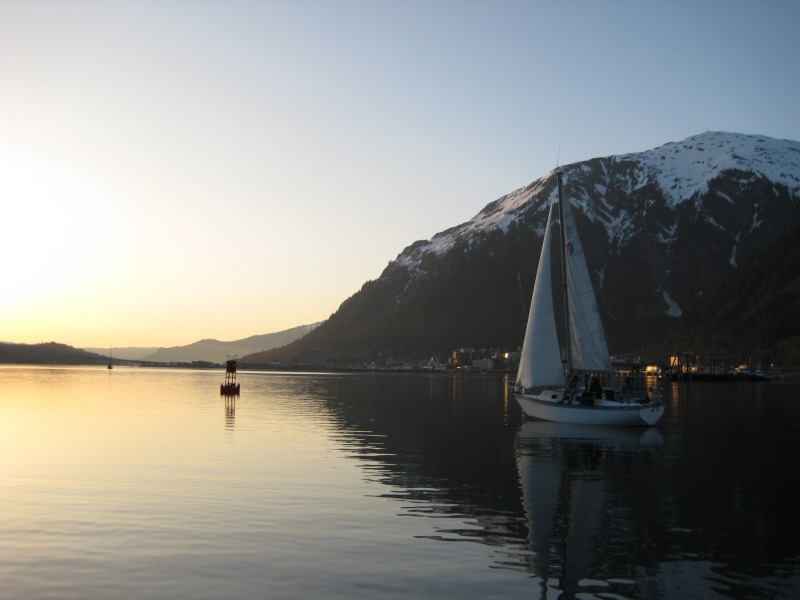 Sailing peacefully amongst good friends and fun boats, is there anything better? The camaraderie was destroyed, however, when the commodore's boat, Haiku, was viciously attacked by water balloon wielding pirates claiming to want a photo opportunity. 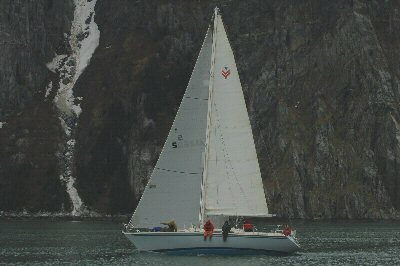 The attackers came up to Haiku, asking for the unsuspecting crew to photograph Spindrift with her new crew. Haiku's crew, a bright and noble lot, when asked to photograph a seemingly excited crew, happily obliged. The SEAS Sandy Beach 2009 Season Kick-off party was a huge success! So the party started at 1700 with only a few people and some windy drizzle, but things rapidly picked up. After moving to the shelter with a fire place, and starting a little fire. Prospective sailors began showing up, the pizza arrived, and the fun commenced. Are you looking to crew? 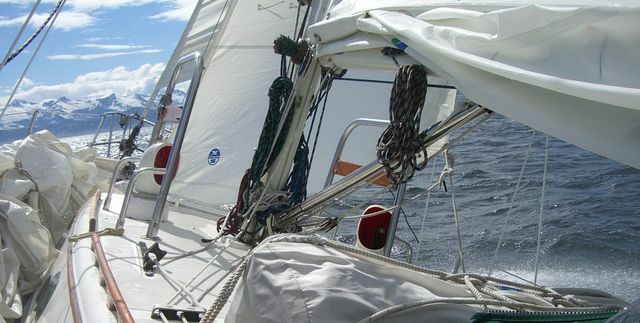 Do you have a sailboat and are looking for crew? On April 24 (5:00 pm) a group of sailors will converge on Sandy beach with solutions to these yearly dilemnas. 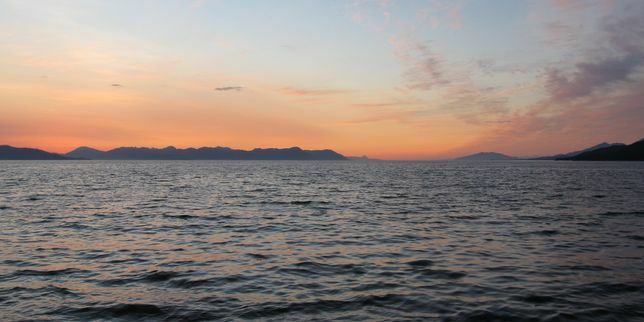 The NEW sailing club SouthEast Alaska Sailing (SEAS) is throwing a beach party to unite excited skippers and crew. So if you are interested in sailing the waters of Southeast Alaska, or just doing some turns in the channel, come down to Sandy Beach on April 24th to meet and greet sailors.